After years of civil war and the recent Ebola crisis, Liberia’s economy is recovering. 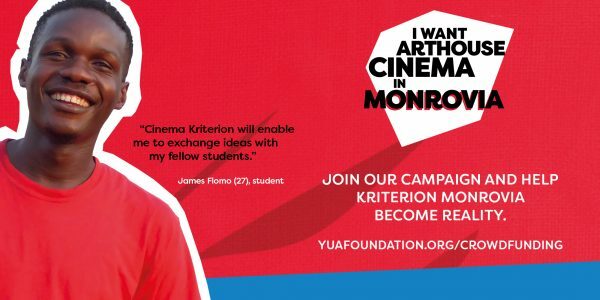 The young students that founded Kriterion Monrovia have always been eager to work towards a better future for themselves and their country. However, opportunities for young people like them are scarce. There aren’t many jobs available, especially for young graduates without working experience. This is why gaining working experience matters and why they want the option to work beside their studies. 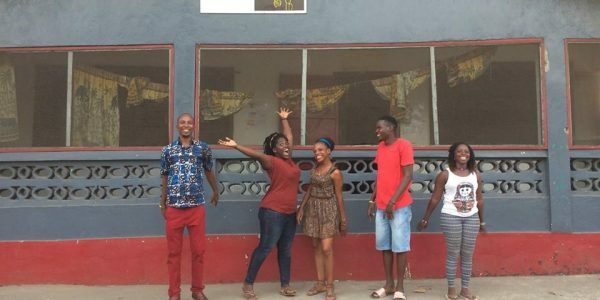 Add to that the fact that there aren’t many places for young people to meet, hang out and exchange ideas, and you can see why many young Liberians seek opportunities abroad. 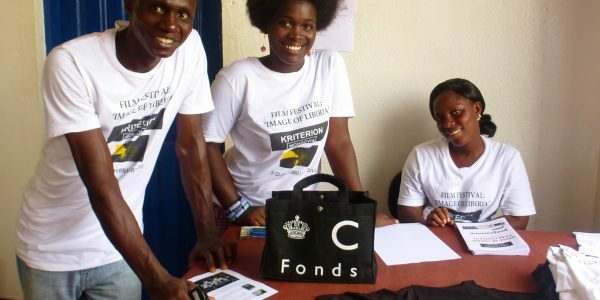 The young Liberians of Kriterion Monrovia want to take matters into their own hands and create a brighter future. For themselves, their generation and many generations to come. 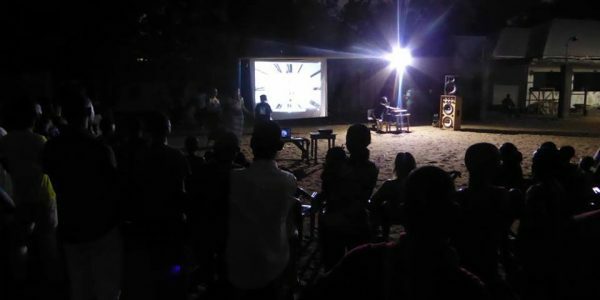 For the past years the team members have traveled the country and organized movie screenings in local communities. They noticed that the novelty and excitement of films relaxed people and took their mind of their daily struggles. 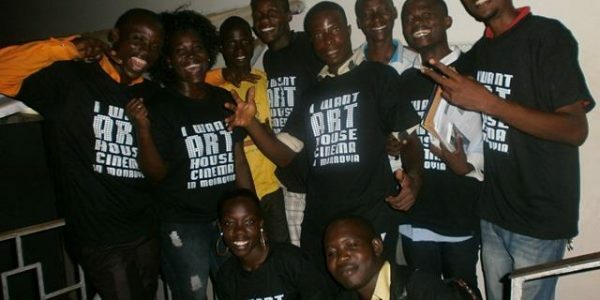 The screenings were very successful, which prompted them to organize a film festival, ‘Image of Liberia’. 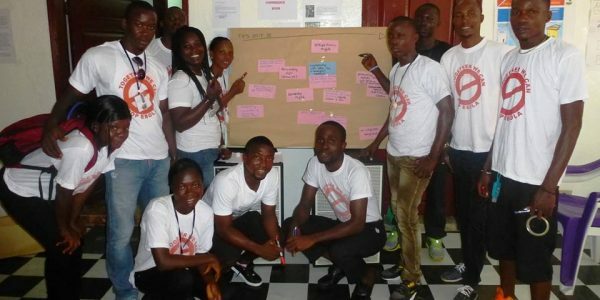 When the Ebola crisis hit, the students were forced to pause their activities in order to travel the country with their Ebola-awareness campaign. In the end, Kriterion Monrovia played a large part in making Liberia Ebola-free again. 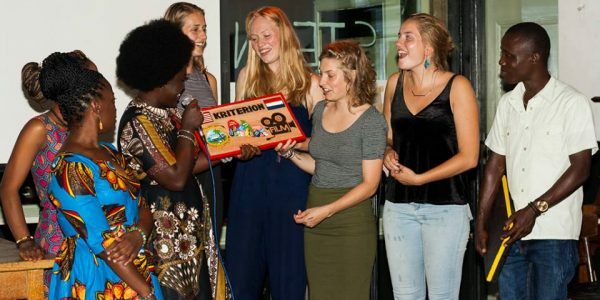 Now, they are ready for the next step: to open their own cinema. The dream is to create a new cinema, with comfortable seating and quality films. The cinema will be a flexible space, so cultural events of all kinds can be hosted in the cinema hall. Accompanying the cinema hall will be a bar and cafe, so people can come together and discuss the movie they saw or event they attended. Or simply to come and hang out after a day of work or school. 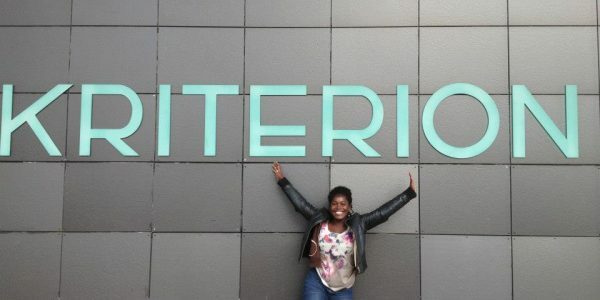 Kriterion Monrovia will employ students and young people like Pandora, Hawa, Jackie, James and Eddie. The employees will be responsible for every aspect of the cinema; the day to day business, cultural programming, financial administration and everything else. 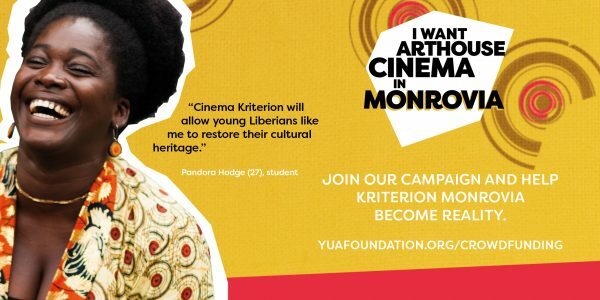 But more importantly, Kriterion Monrovia will be a cultural hub, with space for art, music, debate and social gathering. By creating this place and managing it themselves, Kriterion Monrovia will pave the way for the regeneration of Monrovia as a city as well as its culture, much of which was lost during the war. Over the years the organization has amassed a great following of volunteers and supporters, and now they want to create a permanent place in the city. 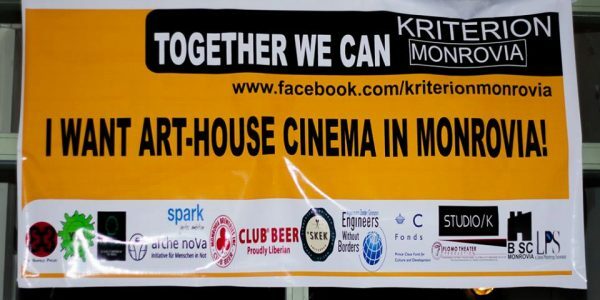 After a long period of scouting for locations, the Kriterion Monrovia team have found the perfect space for their new cinema. The current building will be renovated into a bar and cafe, while the new cinema will eventually be built outside in the courtyard. With an investment of €50.000 they can already fix up the existing building, build a bar, buy inventory for the bar and cafe, and organize indoor and outdoor screenings in the bar and courtyard. 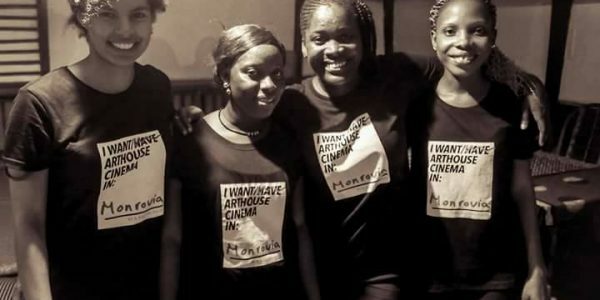 That way, they can already employ young Liberians to work in the cinema while also raise funds to build the new cinema hall. 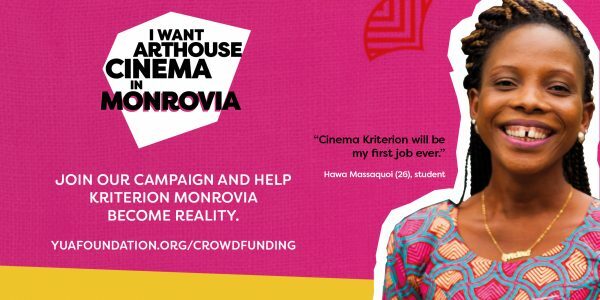 Kriterion Monrovia has the support of engineers and architects from Engineers Without Borders, who will design the cinema of their dreams for free. 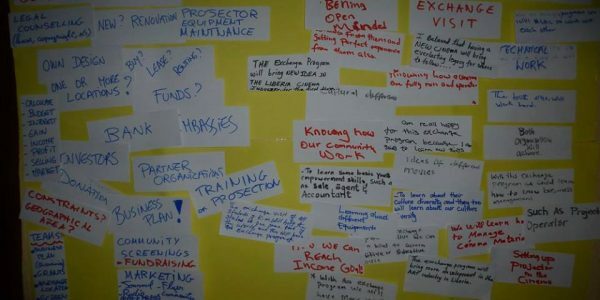 Young Urban Achievers and SPARK will support them with their business model and organizational structure. And now they need your support to make their dream come true! 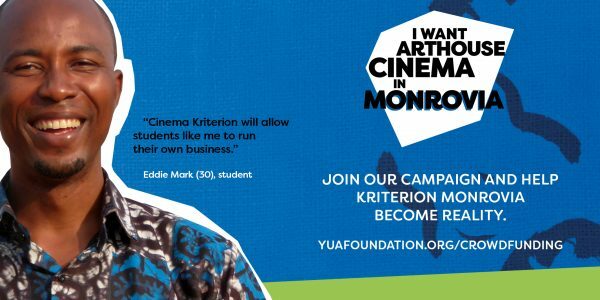 With a crowdfunding campaign in December 2017, YUA and Kriterion Monrovia have raised over €42.000! The campaign has ended, but it is still possible to donate and support this amazing project. 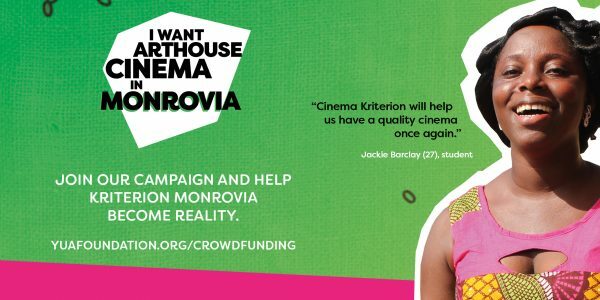 Donate, and help Kriterion Monrovia become reality.